Jordan High School teacher Kelly Meade will head to Antarctica as one of this year’s Lindblad Expeditions and National Geographic Grosvenor Teacher Fellows. The 2017 fellows, a group of 35 highly respected educators from the United States and Canada, will embark on global expeditions onboard the Lindblad expedition ships – National Geographic Explorer, National Geographic Endeavour ll and National Geographic Sea Lion – for hands-on field experience and professional development. “A dream has finally become reality!” said Meade, who leaves for Antarctica in December. 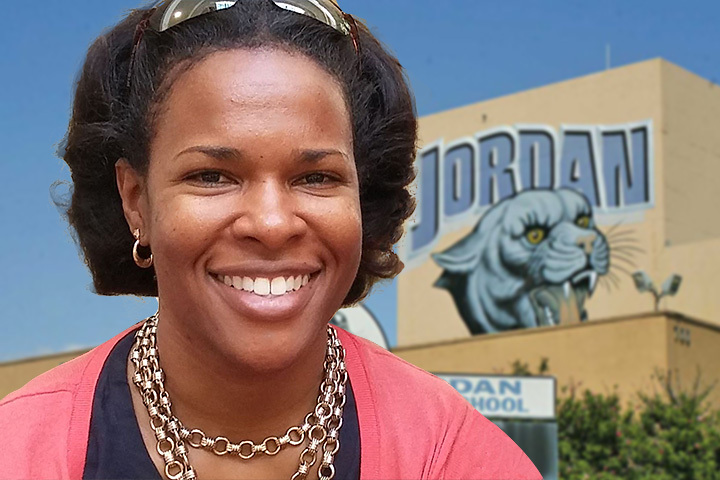 Meade is director of the California Partnership Academy, Aspirations in Medical Services (AIMS) at Jordan, where she teaches chemistry, medical chemistry and Advanced Placement seminar classes. The AIMS pathway provides a combination of rigorous academics and career-focused technical education.